The Sun arrives in the fire sign Leo bringing a month when the cosmos invites us to lap up the good times of summer, really be who we are, express ourselves creatively and spread the generous, playful lion vibes. This month will also see Mercury, Venus and Mars dancing through Leo, and Jupiter ends his year long visit there on August 11th, so stand by for a full on shot of big cat power coming our collective way. The Lion wants us to be who we really are – this is a time when the universe tells us to work out who we want to be and BE IT. Mercury, the planet of communication, arrives in Leo on the same day as the Sun (23 July), the two heavenly bodies aligning at the first degree of the sign and encouraging us to think big. Leo energy needs to engage the heart to find motivation, inspiration and energy, it loves to express its joyful feelings, affection, appreciation and pride. Mercury in Leo encourages grand dreams and is all about focussing on the goal, but perhaps not the details necessary to get there (the energy to attend to the details comes when Mercury enters Virgo on 8th August). Mercury in Leo also inclines us to be quite theatrical, confident and persuasive with our self expression. This alignment on 23 July could bring epiphanies and breakthroughs. Venus is having a very leonine summer. She entered the sign back on the 5th June, left it on the 18th July but, having entered Virgo is now entering her retrograde phase of the year, which means she will re-enter Leo on 31st and stay there until 8th September. Venus rules art and money as well as love and romance – in Leo she feels extravagant, she boosts our confidence and brings out cheerfulness. The planet, currently visible as the evening star on the horizon, will disappear from view for a week from August 9th as she journeys with the Sun. Around 22nd August she will start to rise as the morning star. The retrograde period ends a Venusian cycle and begins a new one. The closing cycle was born in Capricorn, bringing a period when she was encouraging the injection of some Venusian fun and play into areas relating to work. Now a period of Leo Mysteries commences: Venus in Leo is inviting us to explore the pure essence of our divine nature, to witness the divinity in all beings and to radiate our own divinity out to all. The shadow side of Leo energy involves a significant degree of superiority complex, but true Leo energy sees its own divinity as part of the greatness of the whole, it recognises that divinity shines through everyone, and celebrates that. This period will challenge relationships to live up to their potential. Venus in Leo is asking us to consider how we can wholeheartedly love ourselves on every level; how we can remember our divine nature and show it through our bodies; how we can manifest our power for the greatest good; and how we can consciously co-create with others to bring about new consciousness on planet earth, and how our relationships are serving these goals. Mars joins the merry band of leonine revellers from 8th August to 25th September. 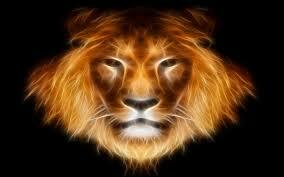 Mars in Leo = heightened charisma and sexual energies, strong wills and intense passion. Jupiter’s year in Leo has prepared us for this dramatic period when affections are likely to be flowing strongly and romance in the air. He has also been teaching us to express ourselves more confidently and creatively and to anchor ourselves in relation to the bigger picture of our lives and existence. Saturn is back in Scorpio (where he transitted from 2012 until December 2014) due to being in his retrograde phase. He goes direct on 2nd August, but his Scorpionic demand that we address our outworn habits, addictions and beliefs is still hanging over us, until he once again enters Sagittarius on 17th September, where he will be transmitting more comfortable and forward looking vibrations. Uranus is in this act too. Currently on an 8 year journey through Aries, his position there heralding the huge transformation human life is currently undergoing – shaking up our lives individually and collectively, he turns retrograde on the 26th July, the day after Venus (and will be retro until December) giving us the impetus to look at life from new perspectives, chuck out old ways of doing things and move confidently towards the creation of a new world, for ourselves and for all. Full Moon in Aquarius on 31 July reminds us to keep community and friendship in focus in our lives, we need these to thrive. New Moon in Leo (14 August) will be the moment to strongly affirm who we are and what our goals are for the rest of the year. All in all this sounds like a brew for interesting, romantic, passionate, creative times that might get a bit intense for some. The summer is offering us a ride into Leonine power and self expression: inviting us to take hold of the lion’s mane and ride proudly through the summer season BEING AND BECOMING MORE OF WHO WE ARE and as much as energies permit, spreading and revelling in an abundant summer of pleasure, ecstasy and love.